800 sq ft loft with large bay window overlooking the brick paved pedestrian marketplace. Located in the center of world class shopping, farm to table dining, cafes and lots of nightlife. 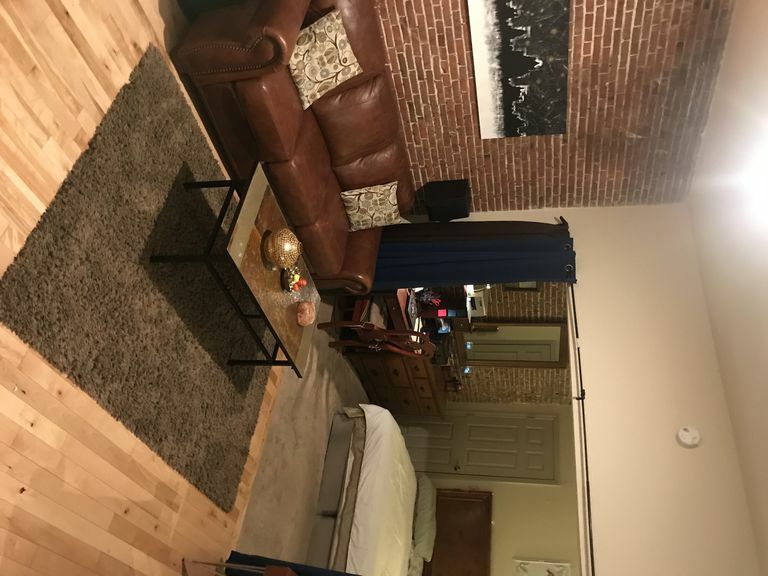 This gorgeous property has 14 ft ceilings, rock maple floors, antique exposed original brick, eat in kitchen with breakfast bar, leather furniture, king size bed and additional sleeping arrangements. Great for a couple or 3 adults or child. We are dog friendly.